These are so beautiful. I am queuing the mittens. I really admire your designs and the graphic artistry of the patterns. I think so. They're gorgeous! Jealousy doesn't even begin to describe how I feel about your ensemble!!! So gorgeous! I adore all of the colors! LOVE! Love the patterns, love the colors! Beautiful! Love them all! It's true, they go really well together! Love the colors you are choosing. Very pretty all together. I love the colors. I'm planning to cast on the hat soon. I'm sweltering in midsummer heat here in Australia but I still felt that rush of envy at how beautiful these are. Gorgeous colours, photography, patterns - and yes they do work well as a trio. really love the simple beauty of your patterns.. lovely. Just found your podcast today in heaven!! Beautiful simple clean but striking knitting... love it. Rich lovely colors, and great design. Love it. That's just beautiful! 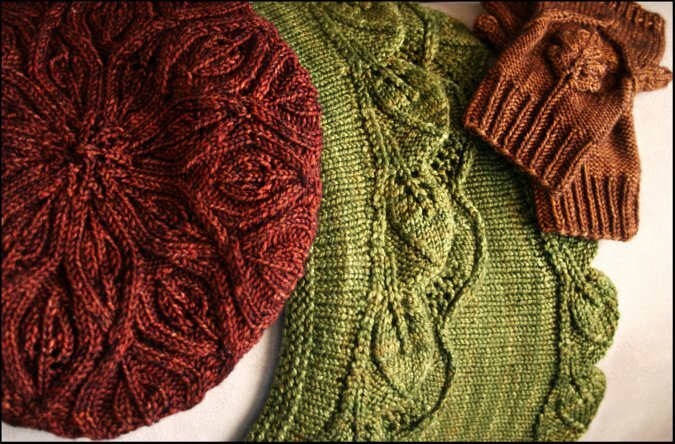 Love the richness of the colors and texture of the yarn. Love each piece. The gloves are my next project. Love all the colourways - your lighting is just perfect ... Not to mention the designs! Those colors and designs look incredibly fabulous all together! i am so in love with those mitts. love, love, love! i can't wait to knit them. I LOVE the colors! I would happily wear any of them. :) Great job! I just bought the Beret kit -- maybe when I finish that I need to cast on for the others. These are just gorgeous! 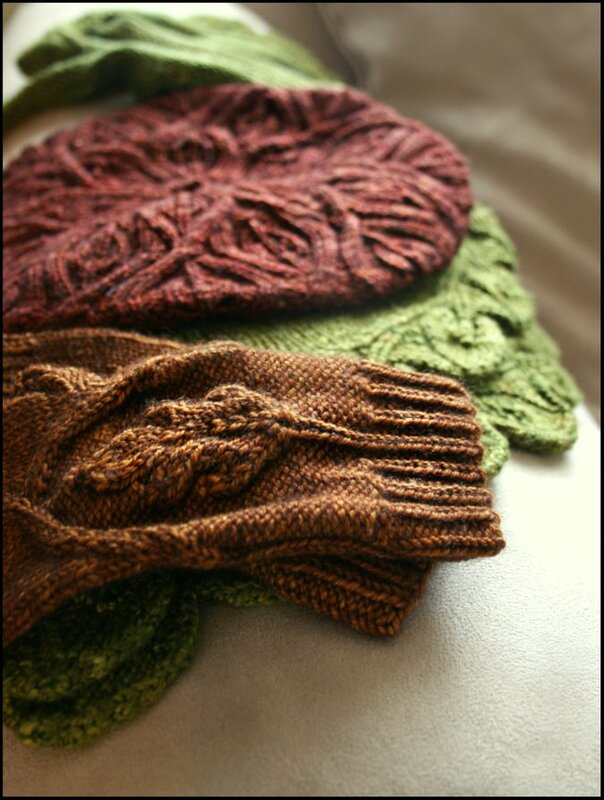 I ADORE the Oak Grove mitts! MUST KNIT THEM SOON!